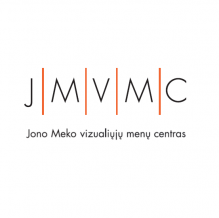 A retrospective of the works of Ramūnas Paniulaitis (1957-1982), one of the first conceptual artists in Lithuania, will open at the Jonas Mekas Visual Arts Center in Vilnius, Lithuania on November 23, 2016 at 6:00 p.m. This will be the second exhibition of Paniulaitis’ works. The first took place together with Česlovas Lukenkas in 1981 at the Vilnius Evening Adult Art School. After the death of the artist almost four decades ago, his works had disappeared from the public eye. Over a hundred of Paniulaitis’ collages and a few ink drawings have remained. Paniulaitis had developed his own unique performative ideological conception of “cutting” (he had completed a course in haircutting) and collage pasting. It was not unusual for the artist to “compose” randomly, or by asking friends or acquaintances to compose parts of the details. The artist made a conscious decision to start working with “second-hand” material – cuttings, reproductions. Very often his “invasions” into this material was minimal. He would insert a slight dash, a round shape or would simply circle a detail with a red pen. Sometimes, it would be enough to just cross out the name of the actual artist on a reproduction of the masterpiece and replace it with his own name in order to appropriate it. Finally, the artist radicalized the appropriation strategy to a point where he was able to claim authorship for any and all kinds of objects, social, cultural, etc. Having only a smidgen of information about the actual artistic processes taking place behind the Iron Curtain, Paniulaitis was able to intuitively develop a creative form that became part of the “conceptual break” in the world of Vilnius art in the 1980’s. One can say that this break echoed the more global avant-garde process that had been taking place in Western and Eastern European art (also in the world of underground art of the USSR) in the 1960s and 1970s. However, it was of a type that later sparked a wave of avant-garde art during the Sąjudis Movement era. Therefore, even in retrospect, Paniulaitis’ collages and his “actionism” that remains only in recollections, together with a few experiments made by artists at the time and the ideas propounded by “social landscape” photographers, should hold a prominent place in the history of our art’s “turn towards conceptualism”. The exhibition is accompanied by a book about Ramūnas Paniulaitis that contains the memoirs of his friends and his sister as well as reproductions of his collages that remain in existence. Curators: Česlovas Lukenskas and Kęstutis Šapoka. Partner: Vilnius Academy of Arts. We are grateful to Violeta Pospielova, Gintaras Zinkevičius, Gabrielius Lukošius, Algimantas J. Kuras, Česlovas and Rūta Lukenskas for sharing their memories and photographs. * Ramūnas Paniulaitis often used this nonsensical phrase to express dismay, depression and being “ticked off”.